It's nearly the end of 2012, and the start of a new year that promises the release of so many good books! I'm excited for the change, but I don't want to let go of what a great year this has been; so what better way to celebrate than to look back over all the books I have read this year, and choose some of my favourites for a spotlight? 5. Reached by Ally Condie - I adored Matched, was disappointed with Crossed, but could not resist buying Reached! Look out for a review sometime this year. 4. City of Lost Souls by Cassandra Clare - The first three of the trilogy were amazing, but the fourth and fifth really disappointed me. Here's to hoping that the last installment, City of Heavenly Fire, ends the series off with a bang! 3. Hidden by P.C. and Kristin Cast - The House of Night series was starting to become dreary, but Destined really upped its game. I've recently bought Hidden, so fingers crossed! 2. Dreamless by Josephine Angelini - This was the first proof copy of a book I ever received, and what an amazing read it was! I possibly liked it more than Starcrossed, the book that started it all, which is a rarity. Definitely worth a read. 1. 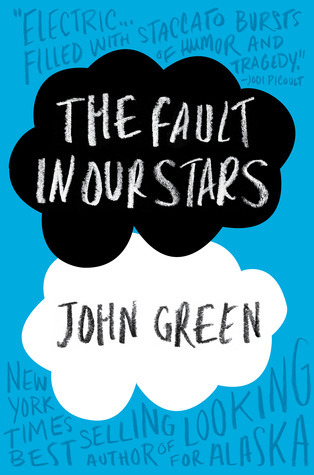 The Fault In Our Stars by John Green - Green is my favourite author, and I waited ages for this release - and it didn't disappoint! I have a signed hardback copy, and I treasure it with my all; brilliant novel, brilliant man. 5. Marissa Meyer - I read Cinder, and although it wasn't what I was expecting and I did feel a little disheartened, it was still well-written and a great debut. 4. Debbie Dee - I adored The Last Witch, and I was so pleased to be a part of the blog tour! I absolutely devoured it; I need the next installment already! 3. Megan Miranda - Okay, on this one, I cheated. I haven't read - or even got - Fracture yet! But I have read Hysteria, due to be released in 2013, and it was amazing! Compared with the reviews I have read of her debut, I'm thinking that Miranda is an author to keep an eye out for! 2. Lissa Price - I stumbled upon Starters during my week of work experience at Waterstones, and I just couldn't resist; I bought it and ate it up! It was a new and unique take on a dystopian future, and I cannot wait for Enders. 1. Sarah J. Maas - One of my favourite books of this year was Throne of Glass. Maas managed to create this whole entire world from scratch, and at such a young age, too; I find her utterly inspiring, and I can't wait for the next book! 5. 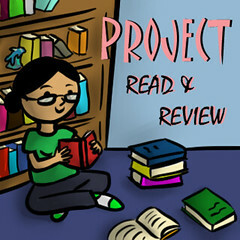 Obsidian by Jennifer L.Armentrout - I finished this yesterday, and I actually adored it! All year I've heard nothing but good reviews about this read, so when I finally picked it up on Kindle for Christmas...well, lets just say my Kindle seemed to be glued to my hand! 4. The Book Thief by Markus Zusak - This was an incredibly moving story that really did change my perspective on life. The storyline was heartbreaking, the writing amazing, and the quotes - I still can't seem to get enough of them! Definitely a book I will be rereading more than once in my lifetime. 3. The Perks of Being A Wallflower by Stephen Chbosky - I got recommended this book by a friend, and I honestly wished I'd picked it up sooner! It was slightly alternative, and I would say it is styled for a particular kind of reader, but I urge anyone to at least give a chance; you may love it, you may hate it, but personally, it is one of my favourite books of all-time. 2. The Fault in Our Stars by John Green - This book produced so many different emotions from me, I can't even begin to sort them out. I never thought I could love another one of Green's books as much as I do for Looking for Alaska - and then up popped Hazel and Gus, completely proving me wrong. Read it. Now. 1. 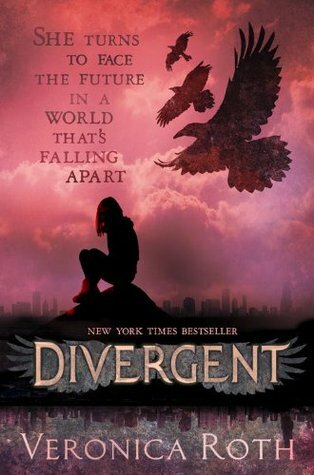 Divergent by Veronica Roth - After reading The Hunger Games in 2011, I never thought I'd find another dystopian series that would really capture my attention quite like it. But I devoured this book within two to three days, if I remember correctly? It was everything a great novel should be, and so much more. If you loved The Hunger Games, I'm sure you will love this just as much! 5. Pivot Point by Kasie West - As soon as I saw this on Goodreads, I knew it had to be added to my TBR list; I am so excited, I can hardly wait! 4. Goddess by Josephine Angelini - The third and final installment in the Starcrossed trilogy. I have followed this series from the beginning, and I have loved every moment of it - I don't want it to end, but as it must, I hope Angelini pulls something big out of her sleeve! 3. Splintered by A.G.Howard - I received a proof copy of this in the post yesterday, and within this next week I plan to read it. Alice in Wonderland meets scary and dangerous? Yes, please! 2. Untitled by Veronica Roth - It doesn't even have a title, yet I have been excited for this release for months! I need to know more about Tris and Tobias, the wait is unbearable! 1. 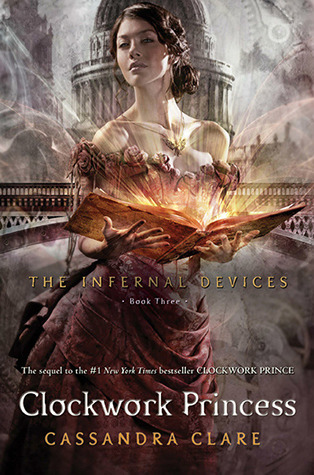 Clockwork Princess by Cassandra Clare - My countdown at the bottom of my blog currently says there are 78 days to go before its release. I don't think I can wait for much longer! I read the first two installments at the beginning of the year, and oh my days - Jem! So those are all of my best books from 2012, and the top five releases I cannot wait for! All that's left to say is that I hope even more releases will be announced soon, and to wish you all a happy new year! 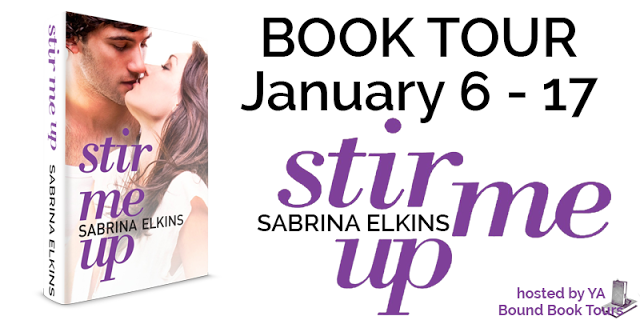 I guess I'll be seeing you all in 2013, which promises more giveaways, more posts, and more blog tours! I adore them, too! I can never get bored of their work. I would do anything to have signed copy of John. I love that book and author. It is my prized possession, I swear!